As I previously mentioned in my Persona 5: The Animation piece a few days ago I'm a fairly lazy gamer. I love video games and have every intention to play them, but life gets in the way far too often. So naturally one of the most anticipated shows to be starting this season for me (along with many other people) was Steins;Gate 0. The original Steins;Gate remains a firm favourite, and after being treated by an anime-exclusive OVA and movie to get a psuedo-sequel all these years after feels like a dream come true. But yes the gang are all back once more, with White Fox returning to handle animation duties as they adapt the visual novel of the same name from 5pb. and Nitroplus. Steins;Gate 0 follows an alternate timeline to the original series, one where Rintaro Okabe failed to go back in time and prevent the murder of Kurisu Makise. 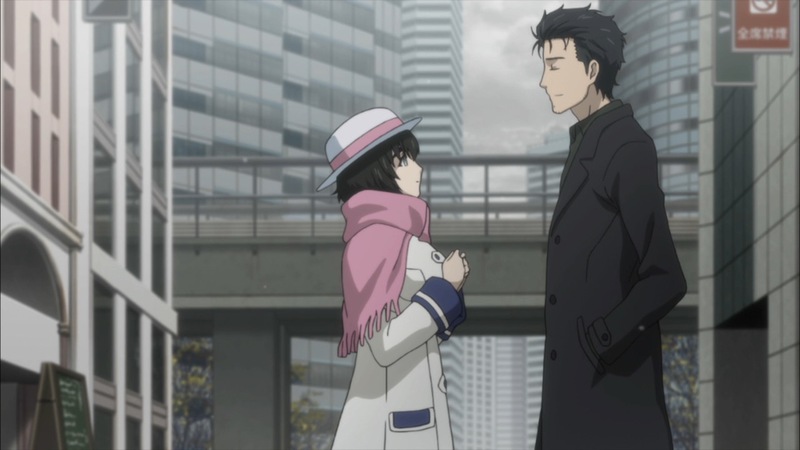 Still living with the trauma from the events several months later, Okabe has put the life of a mad scientist behind him and continued on with his life as an ordinary student. 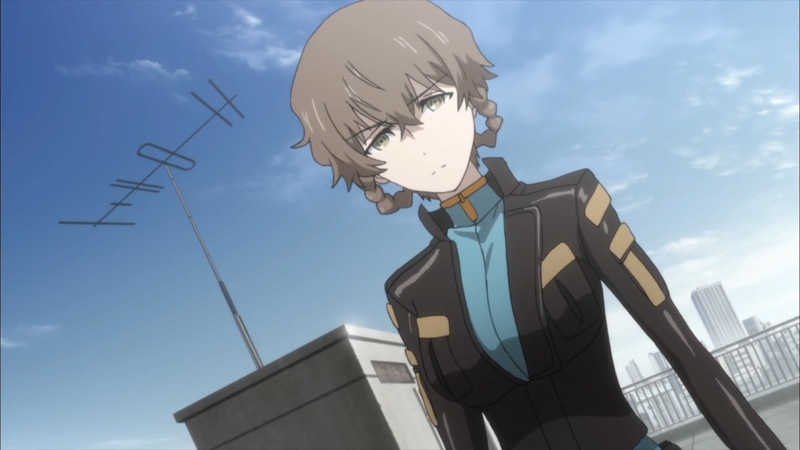 Meanwhile Suzuha Amane, the future daughter of Okabe's best friend Itaru "Daru" Hashida is still living in the past with every intention of changing the world lines and stopping World War 3. 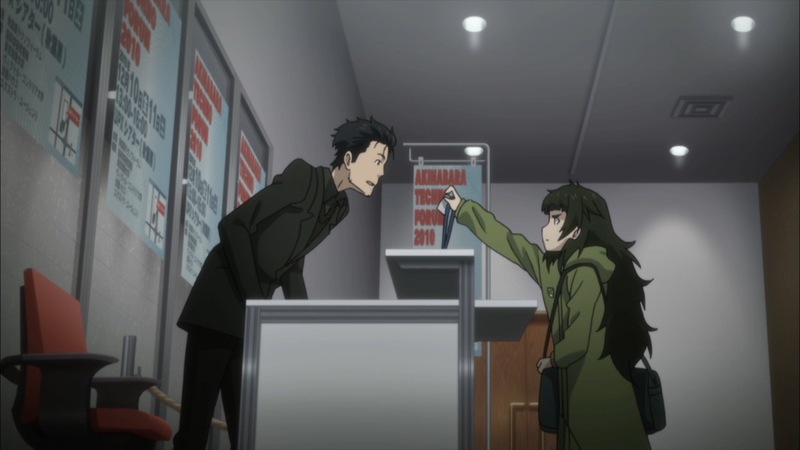 After refusing Suzuha's plea for help, Okabe attends a university lecture from Professor Alexis Leskinen and his assistant Maho Hiyajo. Not only is he shocked to find Moeka Kiryu with them, but he also discovers that the artificial intelligence they are presenting is one based on Makise's own work. 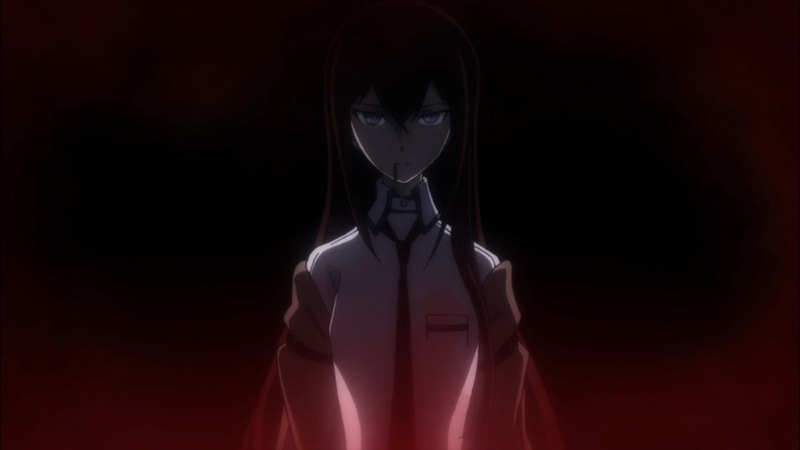 Before getting into this particular episode it's probably worth mentioning (just in case anyone missed it) that an alternate version of episode 23 of the original series was released in 2015 as a prelude to the Steins;Gate 0 game (and in turn this eventual adaptation). Existing fans won't necessarily need to have seen it to understand what's going on here, but it does make the transition a little smoother. Not that said transition isn't already super smooth, because the look and feel of the original Steins;Gate is still present and correct. The colours are perhaps a little sharper, but you'd definitely be excused for not realising this is a franchise that's last major anime instalment was all the way back in 2013. Episode one, which continues the show's love of unnecessarily long names with "Missing Link of the Annihilator: Absolute Zero", is pretty much a reunion episode - getting the viewer back in tune with the cast as we adjust to their new roles. Everyone you loved from the original series is in this episode one way or another, all of whom have clearly been affected by Okabe's disappearance. Some of them hide it much better than others, but their exchanges all have a sense of awkwardness or regret to them that really helps build the atmosphere. 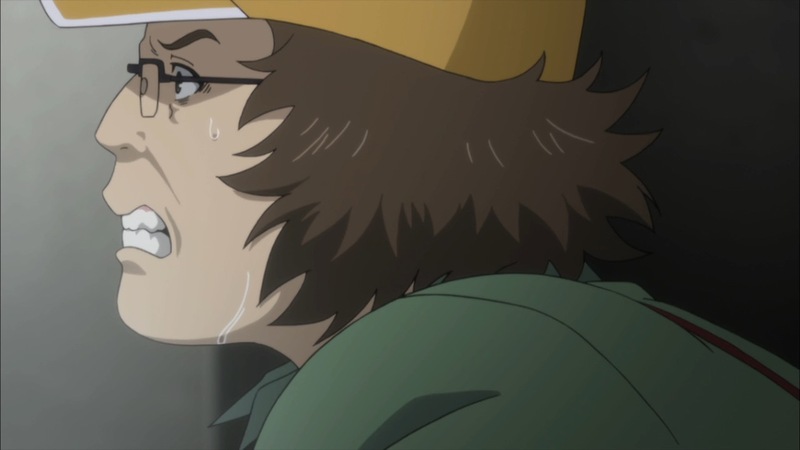 Being the only one with any real awareness of what's to come Suzuha has it especially bad, making the scene where Okabe refuses to help her all the more intense. 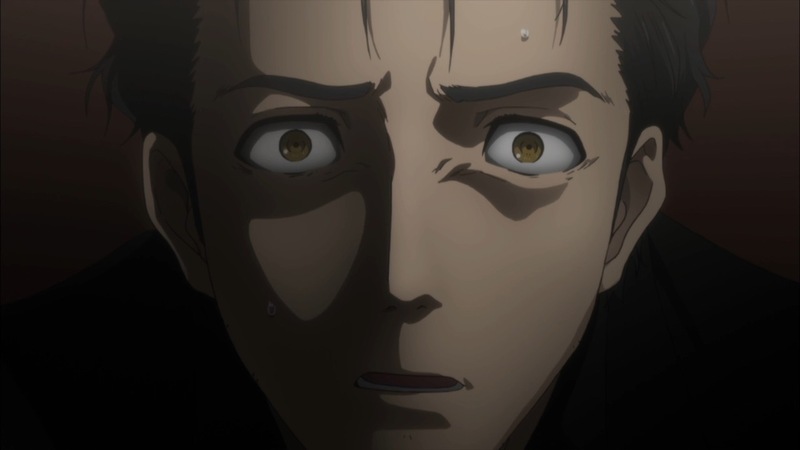 The person whose affected most of all though is of course Okabe, who is very much a broken man at this point. Gone are his boisterous attitude and ecstatic outbursts, replaced by a man who is so very clearly haunted by the multiple world lines he's seen and his inability to save Makise. Mamoru Miyano does an incredible job voicing him, with the much softer delivery giving off the sense of a tortured man far better than the dialogue or hallucination scene do. However it isn't all old here, as the episode also introduces some new faces! 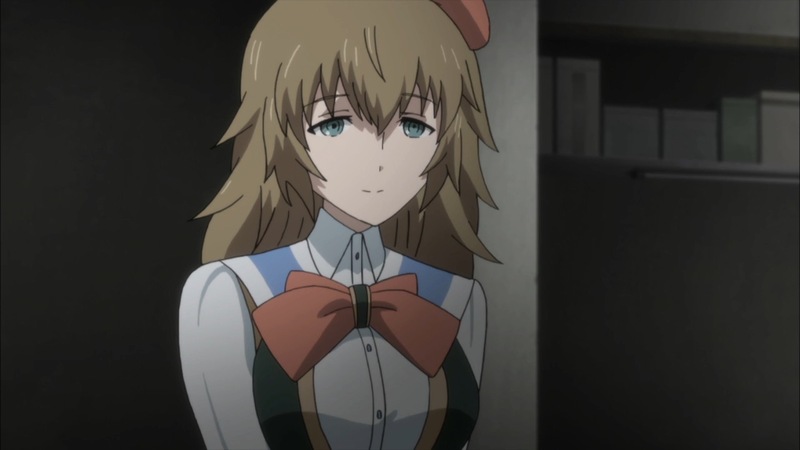 First we have Yuki Amane, the woman who'll go on to become Suzuha's mother. We don't really spend much time to get to know her properly, but she looks to hopefully be an interesting addition to the cast. Even more interesting are Alexis Leskinen and Maho Hiyajo, the latter of whom is inevitably going to be the main source of the show's loli jokes (especially if and when Daru gets a look at her). Though only introduced at the very end of the episode the Amadeus plot line also provokes some serious interest, immediately instilling the same sense of dread that SERN did once the original series truly got the ball rolling. 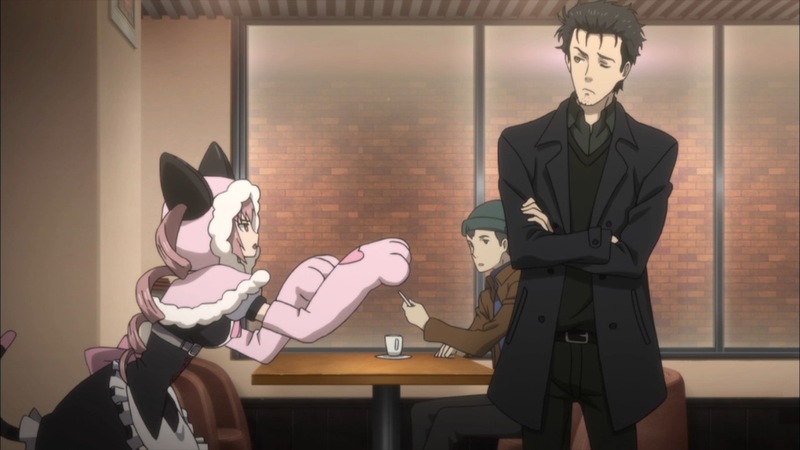 While Steins;Gate 0 doesn't win the award for the most long-awaiting anime sequel this season, that doesn't make its grand return any less special. The alternate world line offers the perfect opportunity to continue the story even though the original series had reached its natural conclusion, and the cast have already all bounced back into their roles perfectly. As someone who's managed to completely avoid spoilers for the game (so doesn't even know a single plot detail, let alone what route it'll end up following), I can't wait to see what the next 22 weeks have in store.